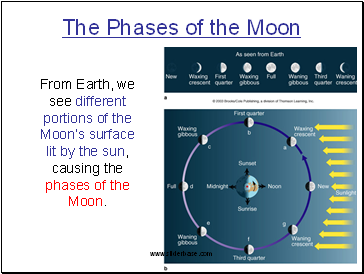 From Earth, we see different portions of the Moon’s surface lit by the sun, causing the phases of the Moon. 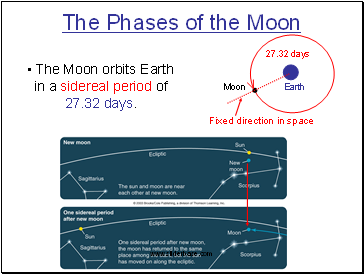 The Moon orbits Earth in a sidereal period of 27.32 days. 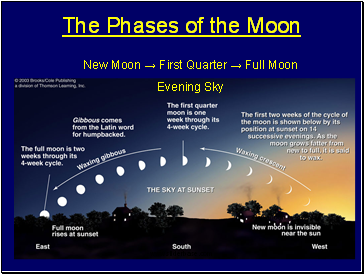 Is the moon going to show the same lunar phase after one sidereal period? 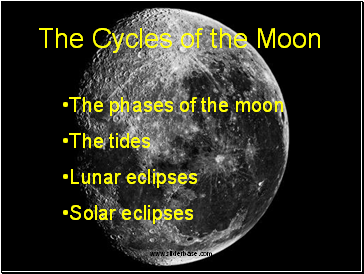 No, it will not have completed a full cycle of phases. 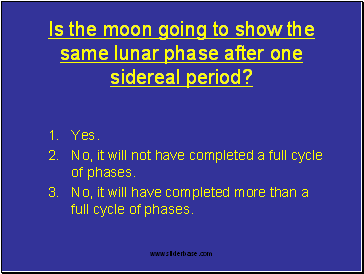 No, it will have completed more than a full cycle of phases. 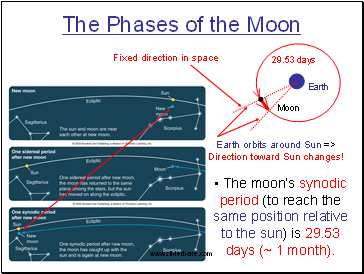 The moon’s synodic period (to reach the same position relative to the sun) is 29.53 days (~ 1 month). 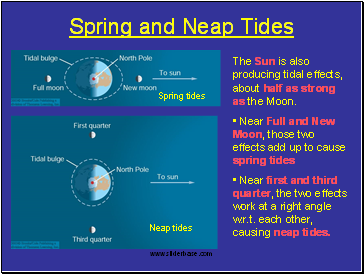 Earth orbits around Sun => Direction toward Sun changes! 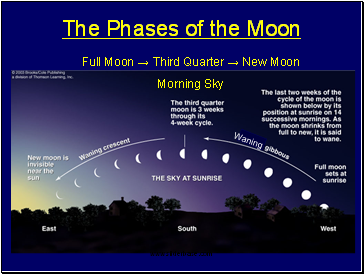 the whole night, from sunset to sunrise. 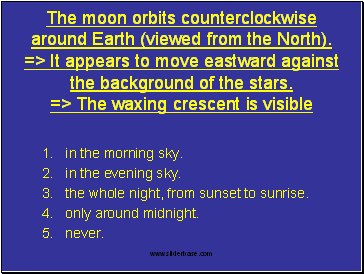 around noon and 6 p.m.
around 6 a.m. and 6 p.m.
around 6 p.m. and midnight. 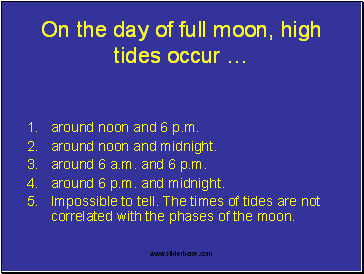 Impossible to tell. 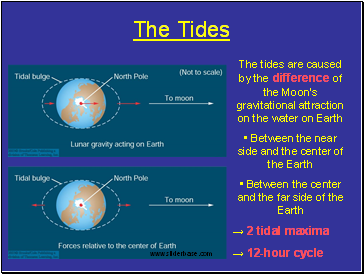 The times of tides are not correlated with the phases of the moon.